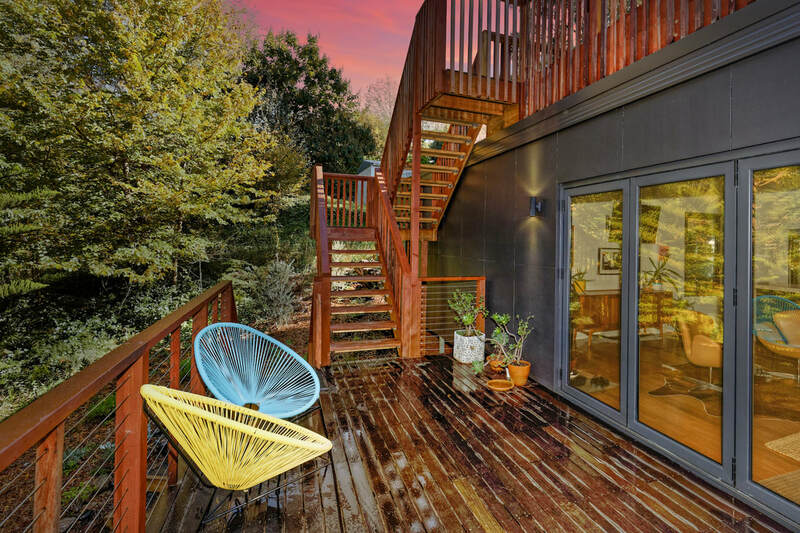 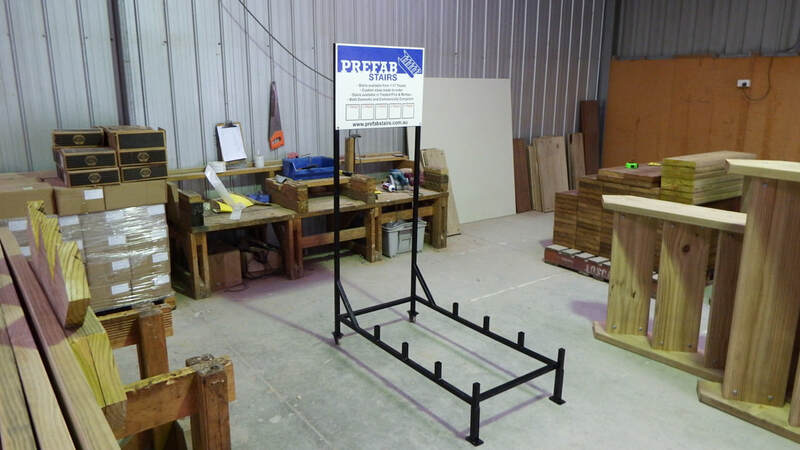 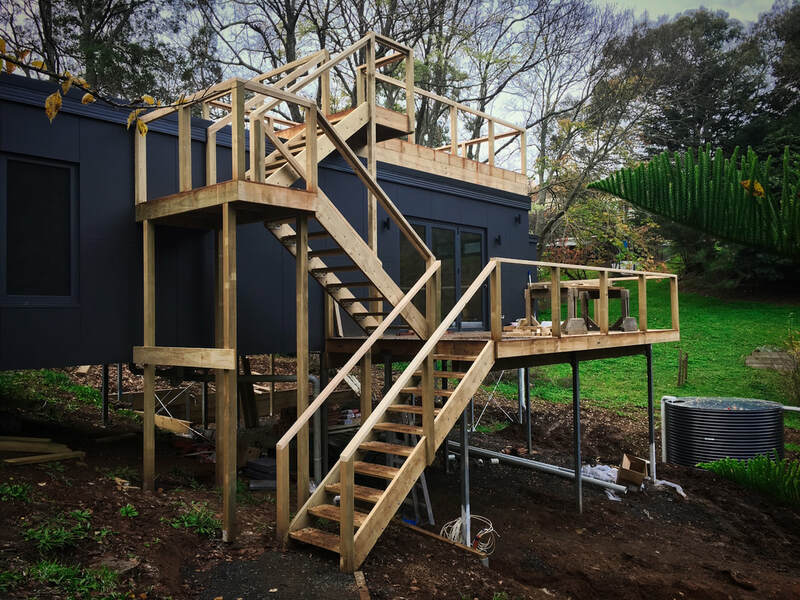 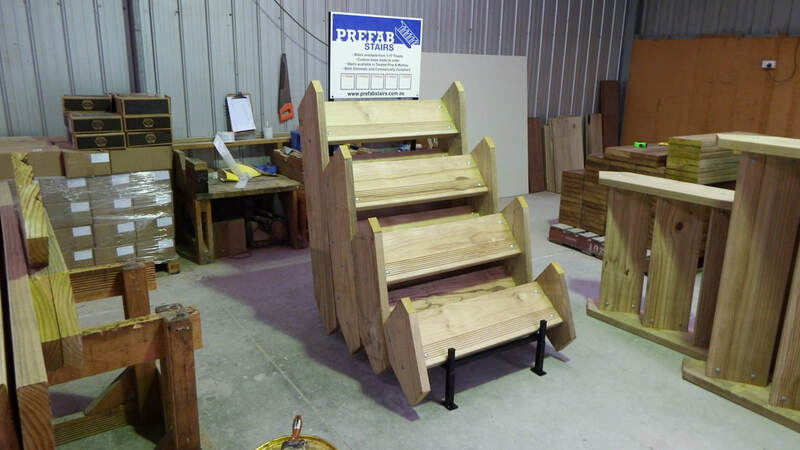 Prefab stairs are available Australia wide through Mitre 10, Bowens, Home Hardware, Stratco, Dahlsens and various independent Hardware Stores listed on our website. 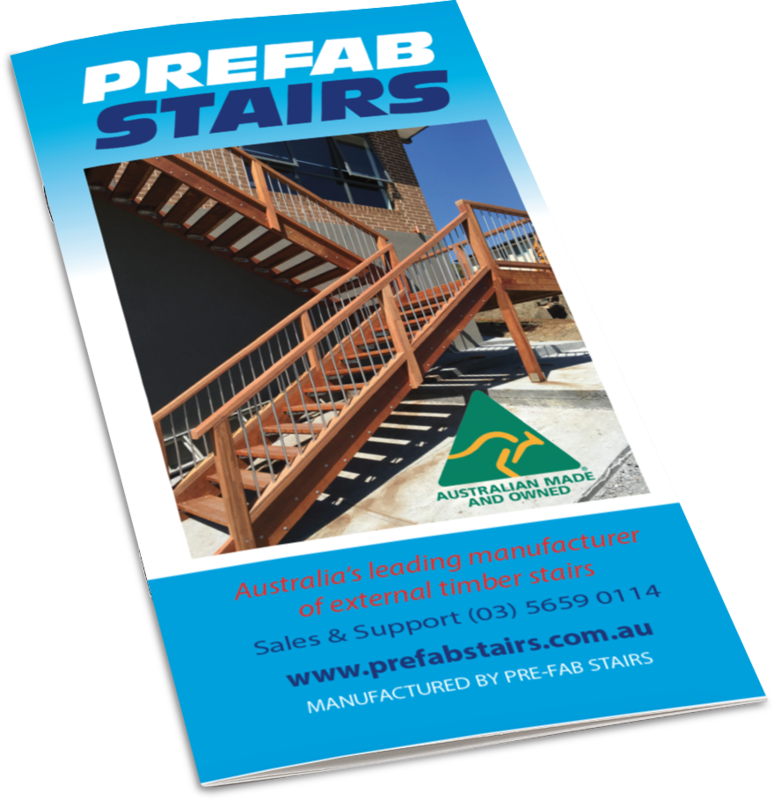 Prefab Stairs are manufactured with quality F7 Treated Pine, Merbau and Spotted Gum. 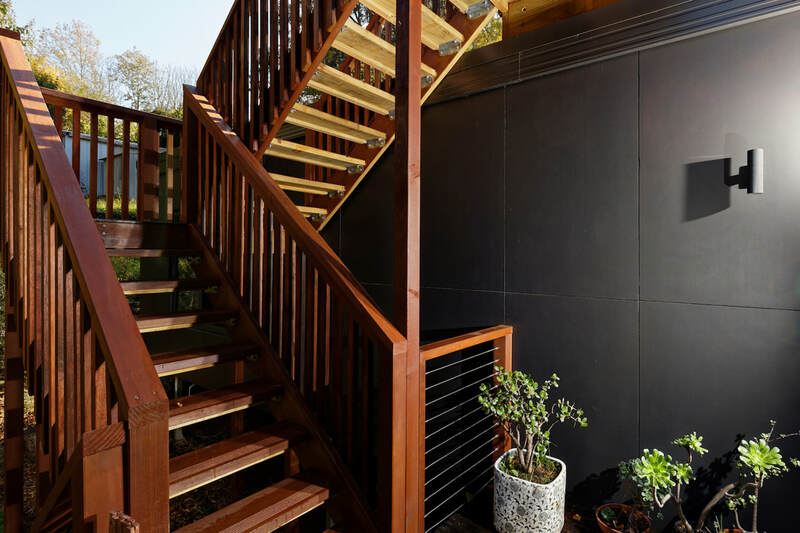 Depending on availability. 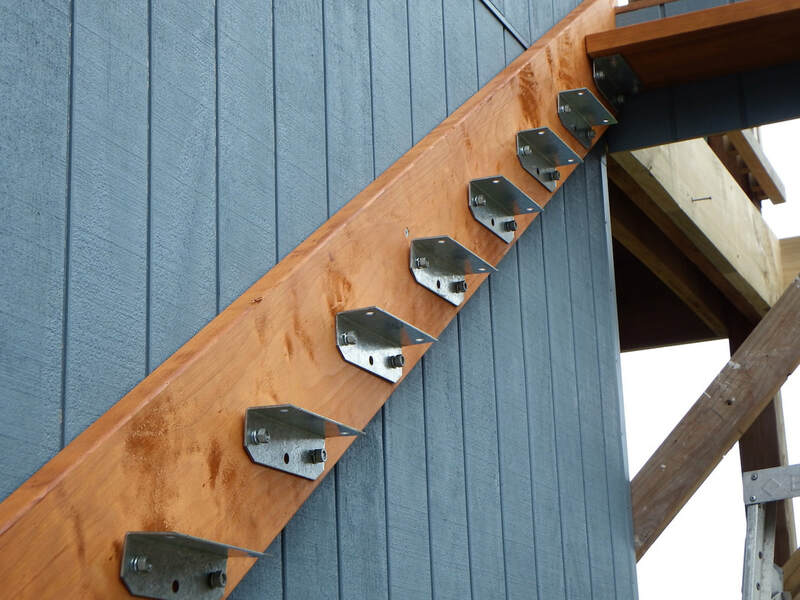 Other materials can also be sourced.